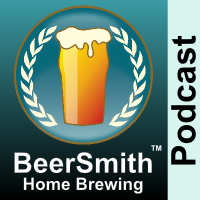 Randy Mosher the author of Radical Brewing, Tasting Beer and the upcoming book Mastering Homebrew (all Amazon Affiliate links) joins me to discuss beer tasting, beer self-awareness, judging beer, aroma, flavors and much more. Randy also gives us a sneak peek at his new homebrew book. Randy shares some of his recent events including a trip to Belgium. We spend a few minutes discussing Randy’s upcoming book Mastering Homebrew (Amazon affiliate link) which approaches brewing and recipe design from a flavor perspective. I believe this book will become a classic as soon as it is released. Sure – send some on via email and perhaps we can do a Q&A show with them.